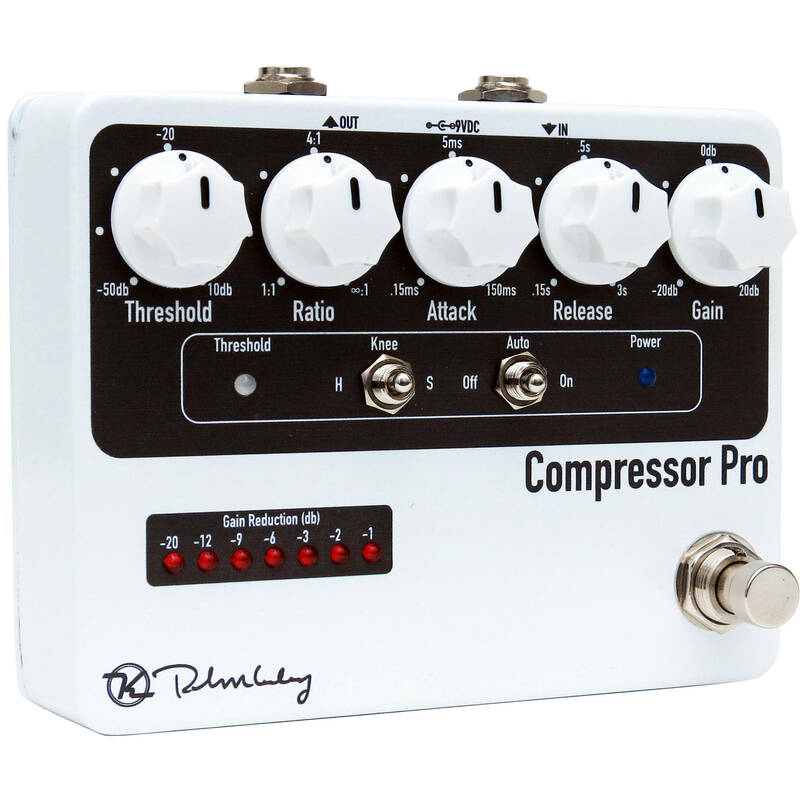 With controls over threshold, ratio, attack, and release, Keeley's Compressor Pro Pedal can be used on nearly any source, be it guitar, bass, keyboard, or a studio track as an outboard compressor. Every control on the front panel is continuously adjustable for precise set-ups. A knee switch lets you further fine-tune how the compression is applied to your signal, and an automatic mode bypasses the attack and release time controls, and having them automatically set by automatic analysis of the input signal. True bypass switching takes the pedal's circuit completely out of your signal chain to ensure that your signal passes through unmodified while the pedal is disengaged.